It is surprising to see that a large majority of vacation rental owners I have booked accommodation with tend to solely rely on their website and no other form of marketing. Also, when I mention email marketing, I am equally surprised how many will turn their noses up at the idea. When the idea of email marketing is presented to them, most vacation rental owners will pass it off as “disgusting spam”. From experience, they could not be further from the truth – the problem is that they just don’t understand the concept of one of the most powerful marketing tools in the tourism industry. If you own a vacation rental or a series of vacation rentals, then emailing marketing is a sure-fire way to gain repeat customers. Effectively email lists have the power to harness repeat bookings from holiday makers that have stayed at one of your rentals in the past. Not only this, if done correctly, you will also increase your bookings made via word of mouth. By keeping your customers informed as well as regularly reminding them of your Vacation Rentals’, up to date pricing, and availability via regular emails, your occupancy rate in your vacation rental(s) will begin to increase. With a well thought out strategy, email marketing can be a powerful weapon. Not to mention the fact that it is virtually free if you are able to create the content yourself. Admittedly, there may be some small costs involved if you decide to use email marketing software. Nonetheless, these costs are virtually nothing compared to the commissions vacation rental websites such as Airbnb charge. If you have your own vacation rental website, then email marketing done correctly is going to increase your repeat the number of repeat bookings you get. In addition to this, email marketing is far more cost effective when compared with Pay-per-click marketing, search engine Optimisation, and paid ads. In the vacation rental niche, competition for advertising space and the top positions on search engine results is rife. It would take a corporate sized investment to challenge some big players like booking.com and Agoda. When it comes to email marketing the trick is knowing how to use a mailing list wisely. Use them correctly and you will be able to increase your bookings from year to year through repeat guest bookings, regular corporate bookings, and via word of mouth; the latter being your past guests recommending your vacation rentals. 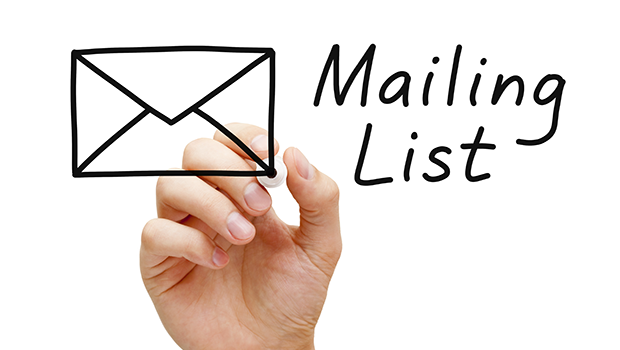 There is a slight hitch to using mailing lists within the Vacation Rental industry. Your product is not something everyone is going to buy regularly. Many travellers or holiday makers prefer to try a new destination every year; however, that is not to say you can’t bring in repeat business if you target the right markets. However, there will be corporate clients as well as those that have family or friends in the area. On top of this, there are others that just like coming back to the same place regularly; especially if it is relaxing or has a lot of tourist attractions. There is usually something that lures people back on a regular basis. The way you keep in contact with those people is by emailing them once every couple of weeks. However, you do not want to send an individual email each time. Therefore, the solution is an email list and a blog on your website. The blog can be linked to via your email every time you send one with subjects of new weekly blogs. This could be events in the area, pictures of recent festivals as well as videos. You can send videos of previous events to advertise up and coming events – start doing this on your blog maybe 6 months in advance. This will give your guests plenty of time to book. This is especially true of guests that missed an event that said they wished they booked for the time of the event. Although advertising on sites like Booking.com, Flipkey, and HomeAway are effective ways to make use of the marketing these websites already use, for repeat business you should have your own website. This is how you redirect your customers to your blog. However, the cost of designing of a fully functional vacation website is not cheap. However, you do have several options to invest in ready made vacation rental websites. WordPress have themes available that can give you a pretty nice-looking Vacation Rental website. Although I have found some WordPRess sites are almost there but not quite complete when it comes to having the perfect vacation website. There is another option. Lodgify vacation rental sites, which are also very good. The company offers complete websites with booking systems, calendars that sync with all the top vacation rental websites, and over 30 different website designs to choose from. So far, they are by far the best pre-build vacation website providers I have seen. Of course, your Vacation Rental website would not be complete without its own fully functioning Social Media profiles. You should consider all the different channels and sync all your Social Media campaigns in line with your email marketing campaign. Instagram is perfect for pictures. Facebook is great for likes, pictures, advertising and posting. Twitter is also a good communication channel if you can get enough followers. These are the main 3 I use, but there are also plenty of other Social Media channels out there that I have not explored, and I probably should. Overall, Social Media is the best marketing tool you can have to complement your email marketing campaign. Of course, a blog on top of this is also going to set your property listings apart from the competition.